If you need to wear special workwear for your job, we have a wide range of clothing, footwear, and protective gear on our Aston Workwear site. Many jobs supply men’s workwear, but you may not like the colours, or the fit, or even inferior materials that make your skin itchy. The solution is to choose your own outfits to your taste. There is a wide range of workwear on the Aston Workwear for every industry. Hospital or healthcare workers may require special scrub sets. Workers can change into and out of them at work, providing a safer solution to protecting yourself from bacteria and pollutants. These are sold in a wide range of colours, and you can choose your scrub tunics or scrub pants separately. There are even scrubs that offer an anti-microbial fabric to resist transmission of illness to you. You can conform to healthcare setting uniform colours, or choose your own if it’s up to you. Sizes vary from extra small, to double extra-large. Pricing is affordable, starting at £11.00 and up. There is also a range of disposable workwear, for laboratory, food, or healthcare workers. These vary from aprons, to hoods, caps, trousers, coveralls and boiler suits, lab coats, visitor coats, over sleeves, and shoe sleeves. These items are worn once and then disposed of in a hazard receptacle. High visibility clothing may be required in hazardous working areas where workers must stay in sight of each other. These may include under-lit lighting conditions or workers who must work at night. These include visibility spectacles and high visibility orange clothing. Items such as vests, shirts, jackets, and trousers come in orange with highly reflective silver bands. High visibility clothing also is available in yellow, and also has highly reflective silver bands to help the worker stand out. For people who work in hospitals, there is a range of sterile workwear. There are disposable gowns, jackets, oversleeves, coveralls, and overshoes, which protect both patient and healthcare workers in surgical settings. These garments have been irradiated and placed in protective wrapping to protect their sterility before use. Many items can be washed and sterilized before being used again. For people who work outdoors, weather wear is essential. These may be black or white long johns to wear under clothing, body warmers such as vests, rain suits to protect a person from inclement weather, full bodysuits, and jackets and fleeces. For people who are seeking name brand weather wear, our site offers some of the best brands on the market today. Shop from the Regatta Collection, Tuf Revolution jackets, or the Helly Hansen line. There are also lab and visitor coats and coveralls and boiler suits. Lab coats are available in white colours, with suits in black or blue. These can all be machine washed at home. 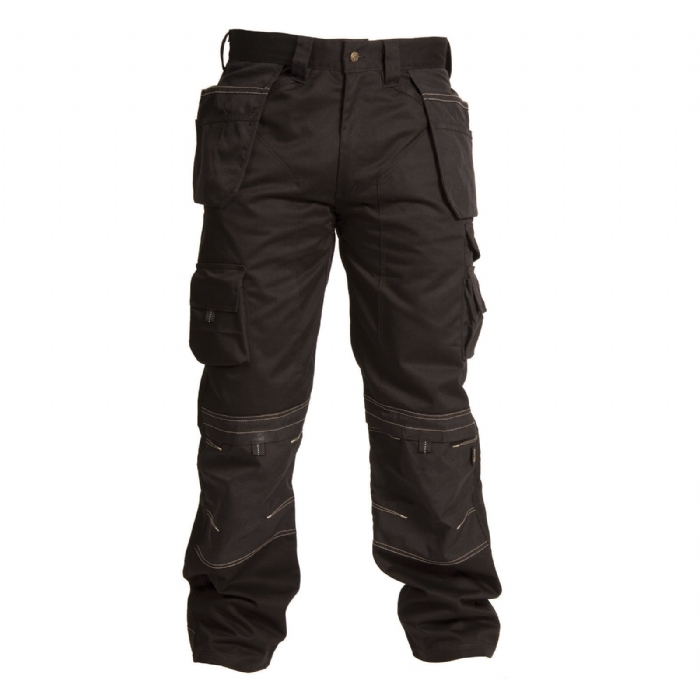 Men can also find a variety of men’s workwear trousers and cheap work trousers with holster pockets so that they can hold their basic tool sets. There are also knee pads and gloves to provide an additional layer of work protection. Don’t forget to add in some worker’s shirts to go with your trousers. These shirts are durable, long-sleeved, and have a collar and button front with pockets. They have long tails so that they tuck in adequately to your trousers, so you don’t have to worry about your shirt interfering with your work. If you’re in need of specific workman’s clothing for your job, please visit our Aston Workwear site today. Here you’ll find a wide range of clothing for every industry from healthcare, to food, manufacturing, and factory work. Now you can wear well-fitting clothing in your colour preferences.